While last week’s trip was focussed on the first buildings outside of the Old City walls by the Christian European powers, today we looked at the establishment of the first neighbourhoods of Jerusalem outside of the city walls – these were founded by Jews. We began our day however at the old train station, recently refurbished and opened in the summer having been closed since 1998. I actually remember taking the train from Tel Aviv to Jerusalem and exiting at this station on a family trip many years ago; it took a very long time as the train wound through the Jerusalem hills but there were lovely views. 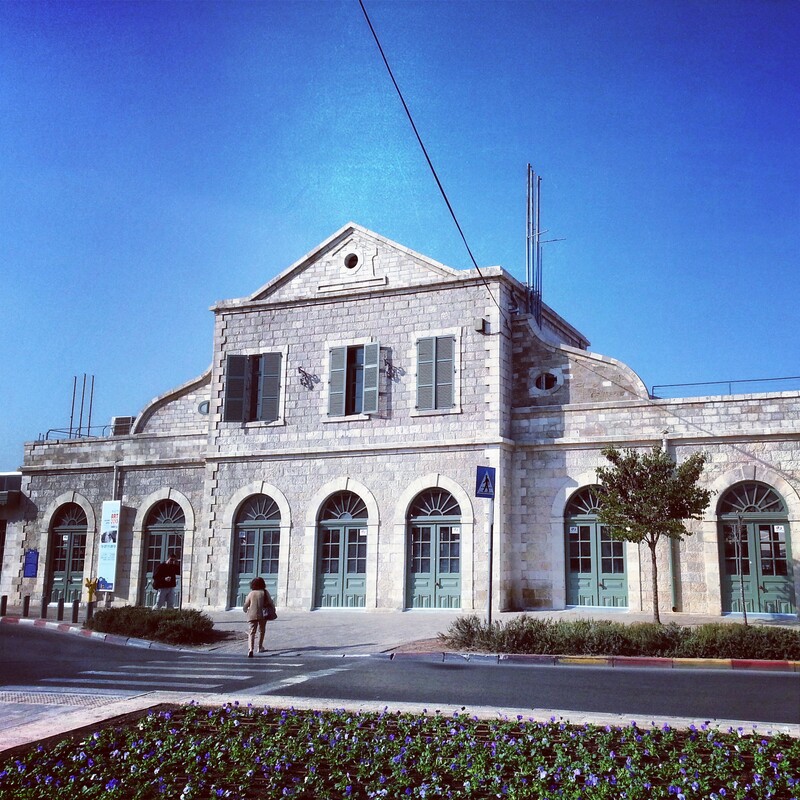 We learned about the history of the Jaffa to Jerusalem railway, opened in 1892 and the first to be built in Israel. The current line now goes to Malcha in the south-west of the city; in 2017 there should be a fast speed line connecting the centre of Tel Aviv to the centre of Jerusalem in just 30 minutes. Although whether it will be open by 2017 is another question! A brief walk away was the St Andrew’s Church, belonging to the Church of Scotland. 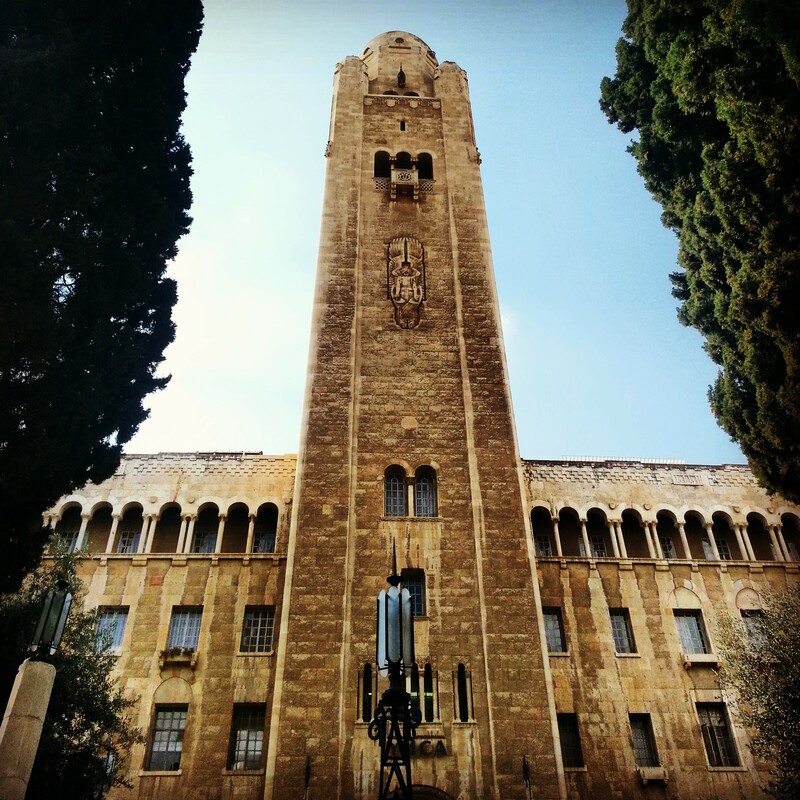 Set up in the 1930s as a memorial to the Scotsmen who died in the battle for Israel in WWI, it later became a memorial also to those who died during the years of the British Mandate and later in WWII. The compound also contains a guest house and has commanding views over Mt Zion and the west of the Old City. 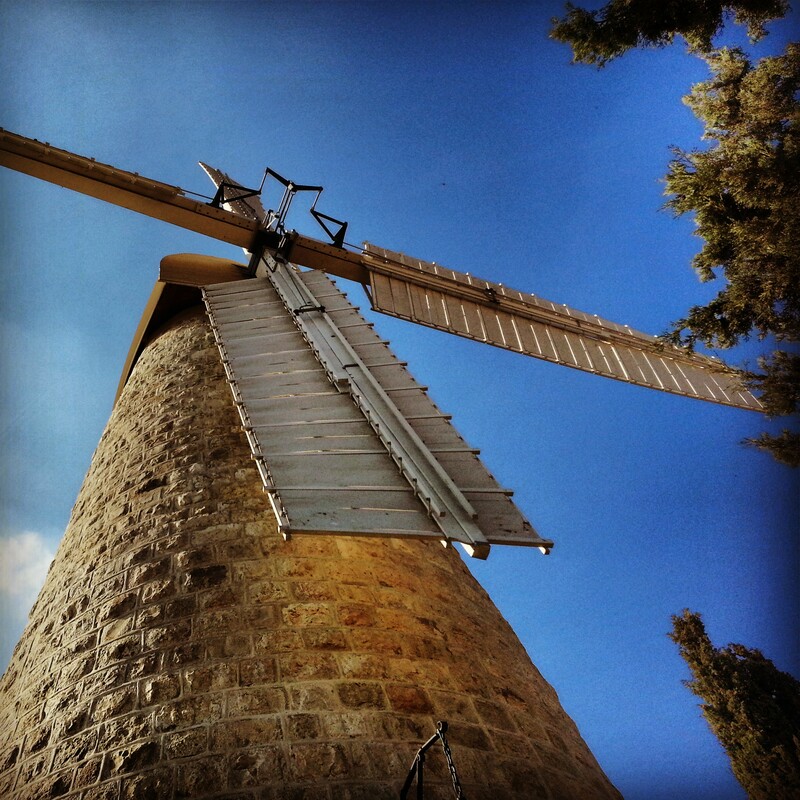 We continued north, arriving at the famous Montefiore windmill in the neighbourhood of Mishkenot Sha’ananim. We heard the story of the famous Sir Moses Montefiore, the British philanthropist who funded this mill and the construction of the entire neighbourhood, the first outside of the Old City walls, in response to overcrowding and poor sanitation in Jerusalem. Although the sanitary conditions here were better, security was problematic, meaning that only the poor were willing to move and be at risk of looting from Arab marauders. We went through a walk in the neighbourhood, hearing about the history of the nearby Sultan’s Pool (most recently developed by Suleiman the Magnificent, although its origins lie in the second temple period) and then the expansion of building into what later became the adjoining neighbourhood of Yemin Moshe. These areas were effectively slums and certainly after 1948 were not attractive places to live in – the Jordanian’s controlled the Old City walls turning them into dangerous places; stories were told of women being shot while hanging their washing on their roofs. Around twenty people were shot dead in these neighbourhoods from 1948-67, after which Israel controlled the Old City and the danger ceased. At this point the Jerusalem municipality decided to redevelop the area, controversially paying off the inhabitants to leave, refurbishing and attempting to create an artists’ colony. Unfortunately very few artists could afford the new housing so most of the property was bought by wealthy families abroad who use it as a holiday home; this means the neighbourhood is quaint and beautiful but something of a ghost town. We then had a brief interlude at the grand King David Hotel (sadly not going inside) where we heard the story of the famous attack by the Irgun on the British offices in the southern wing in 1946. The attack caused significant loss of life and debate rages about the extent to which the British were given warning; however the evidence suggests that they did indeed have sufficient warning to evacuate; unfortunately for a variety of reasons they chose not to do so. Across the street from the King David Hotel is the YMCA building, a grand structure completed in the 1930s by the architect of the Empire State Building in New York. Although we did not have time to ascend the tower and enjoy the view over Jerusalem, we did learn about the symbolism of the architecture which is designed to promote the idea of peace between the three Abrahamic faiths in Jerusalem. 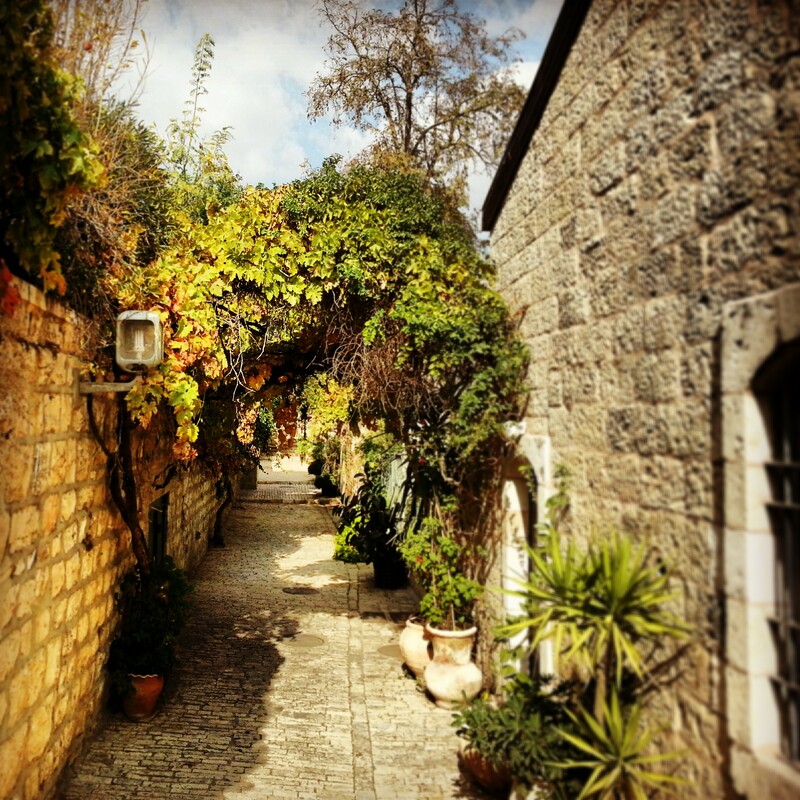 A short stroll down King David St took us into the area of Machane Yisrael, the second neighbourhood outside of the Old City walls. 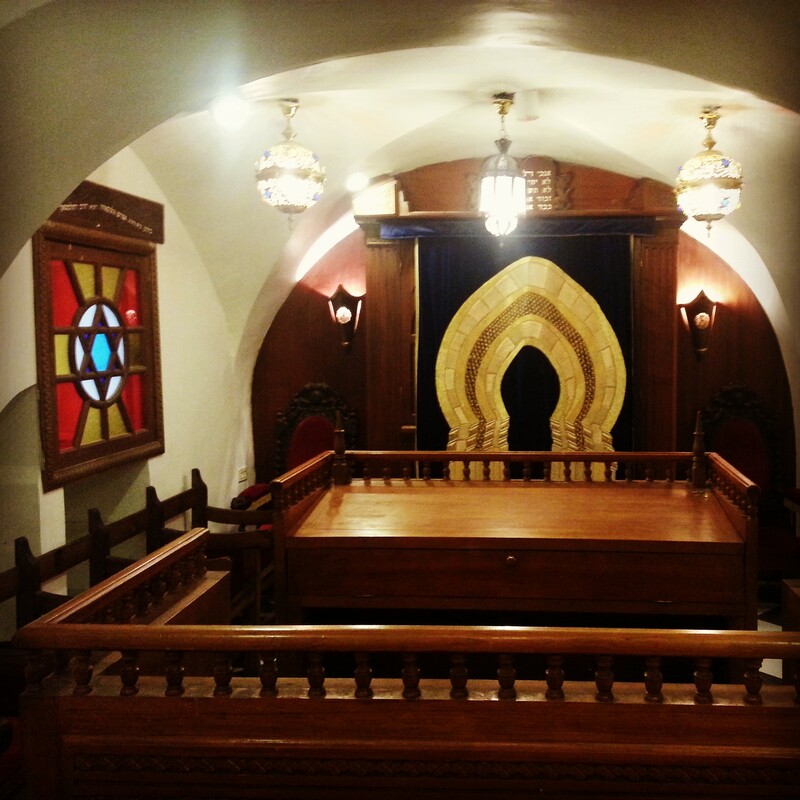 The initiative of Rabbi David Ben-Shimon, an immigrant from Morocco, this was a solution to secure some independence from the control of the Sephardi rabbinic council in the Old City. 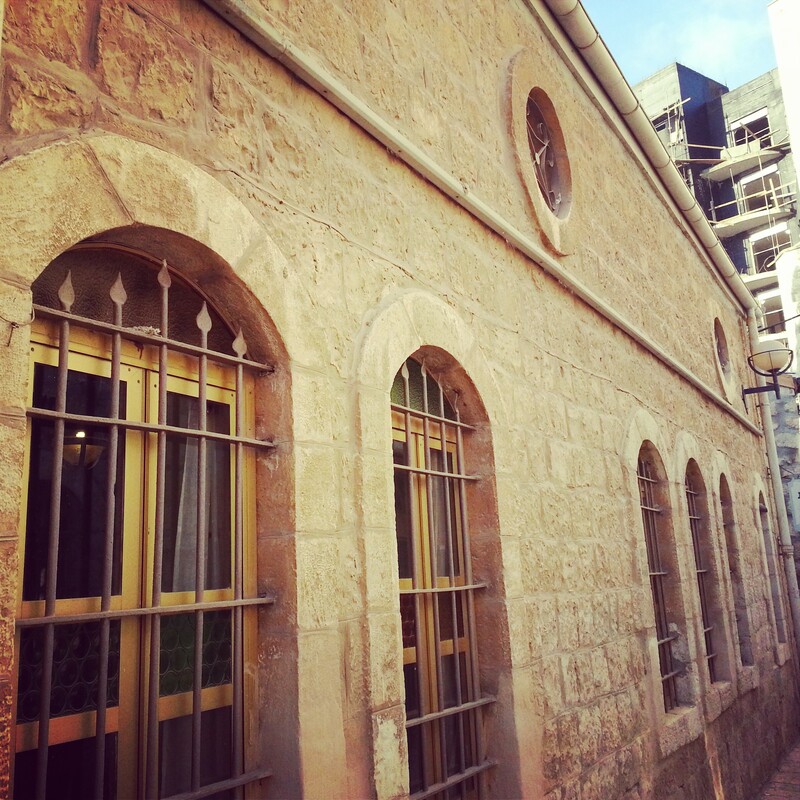 Not much remains of the neighbourhood but the grand central building has been lovingly restored into the Worldwide North Africa Jewish Heritage Centre. Inside the centre attempts to recreate the atmosphere of the Maghreb with beautiful carvings and floor tiles. There is a small museum about the Jews in the area and also a large media centre for those who would like to research further. 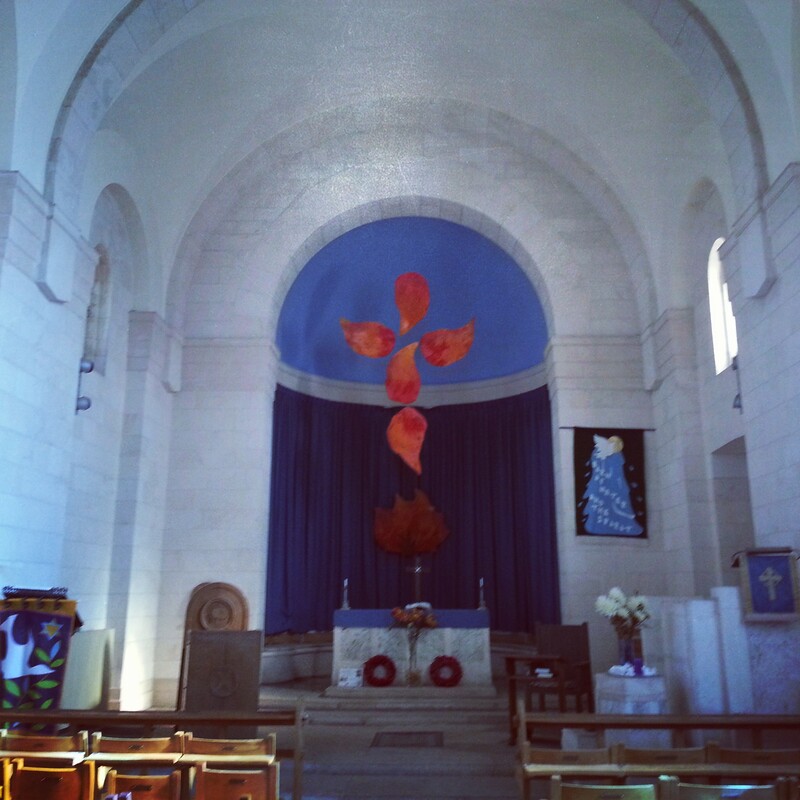 The centre organises many activities to promote the culture of North African Jews including the teaching of traditional liturgy and melodies. We continued into the modern day town centre and to the third neighbourhood outside of the city walls, Nachalat Shiva. This neighbourhood was founded by seven young rabbis in their twenties (together with their families) who had been impressed by the sanitary benefits of living outside the city walls and decided that it was worth trying it themselves. After one of them dressed as an Arab woman to buy the land (at the time it was very difficult for Jews to buy land) they apportioned it between themselves and began to build homes. Over time more and more people moved into the area; it became crowded and as a result had many small hiding places. The Irgun made it one of their centres of operation and as a result the British marked it for demolition. 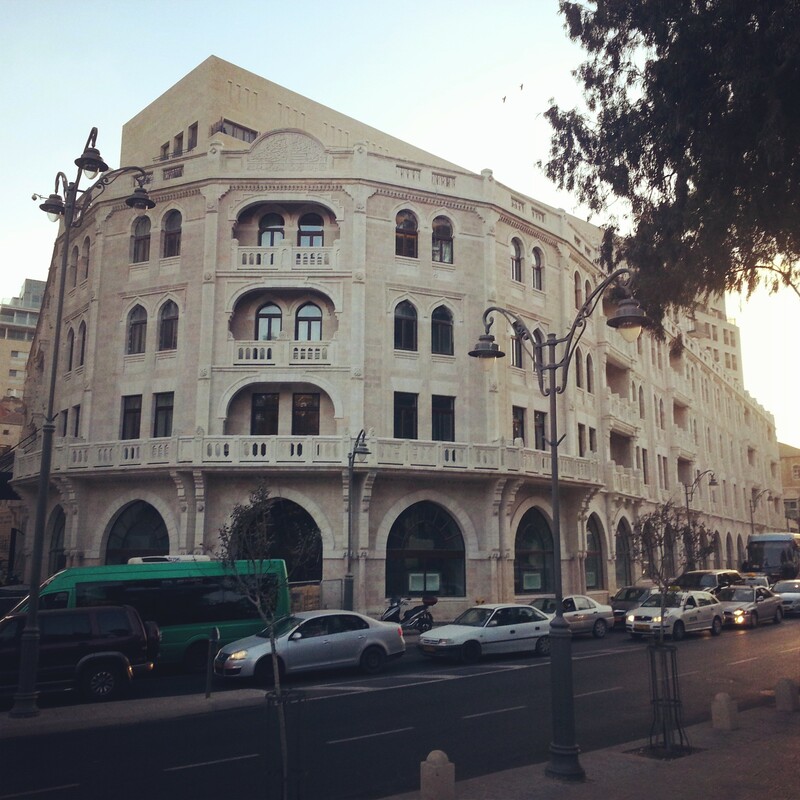 The order was never carried out but the area continued to be a slum until the Jerusalem municipality decided to conserve it in the 1980s. It is now full of trendy cafes and bars. 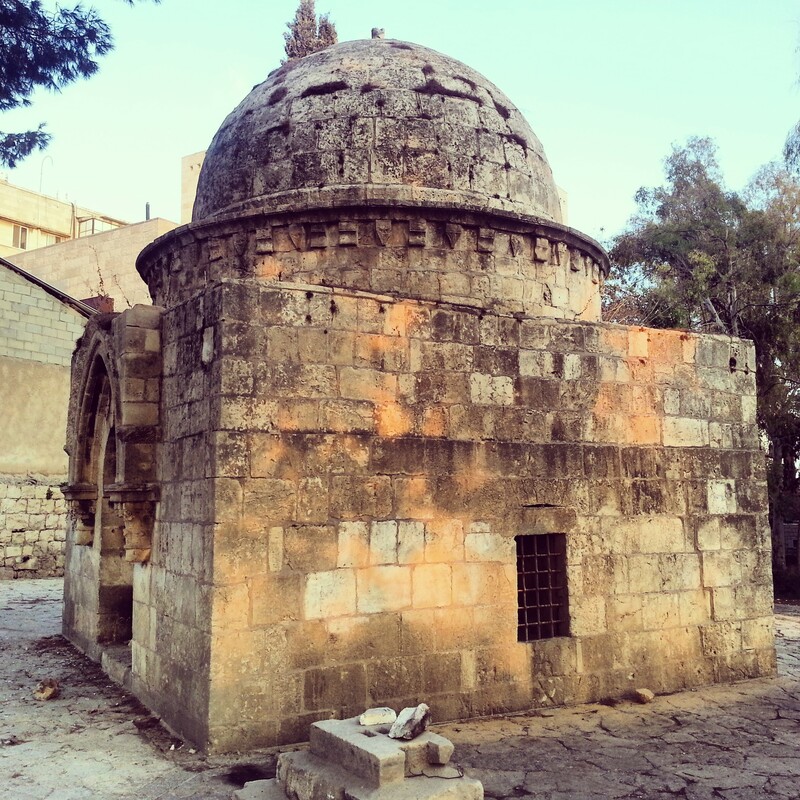 Our final stop was in the area of the Mamilla cemetery, an ancient burial ground dating back to the Crusader period (and possibly before) but really coming into its own in the Mamluk period which followed. We heard the stories behind some of the tombs (and the legends of the Lion’s cave) before visiting the Mamilla pool, a water source for the city from the Second Temple period. From the cemetery we were afforded a view of the Palace Hotel, soon to become the new Waldorf in Jerusalem (with a magnificently restored original exterior), constructed by the Mufti of Jerusalem in the 1930s to compete with the splendour of the King David. It was a fascinating day of stories and legends about the more recent history of Jerusalem, although with the winter approaching we were beginning to feel the chill. Next week we travel south to catch some sun in Eilat!